Puls 15 years | Lone Skov Madsen (Personal show 2015). Turi Heisselberg Pedersen has been a dominant presence on the Danish design and ceramics horizon for over two decades. For this anniversary exhibition at Puls, she is showing all-new, highly expressive and asymmetric organic works. Pedersen, born in Holsted, Denmark in 1965, lives and works in Copenhagen. She is represented in major museums and private collections worldwide. 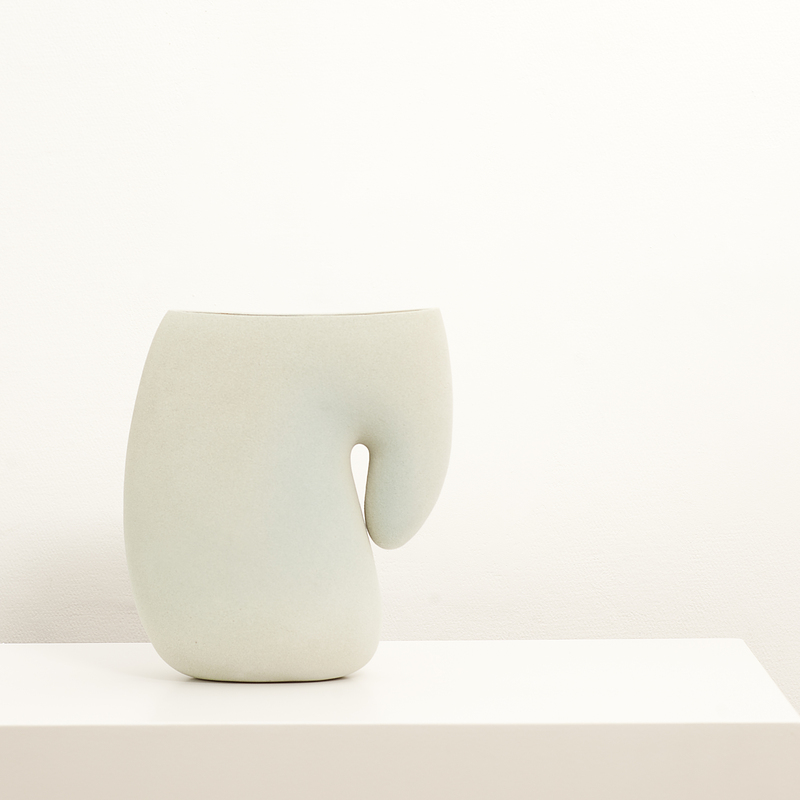 Throughout her career Pedersen has developed the vessel as an abstract form. 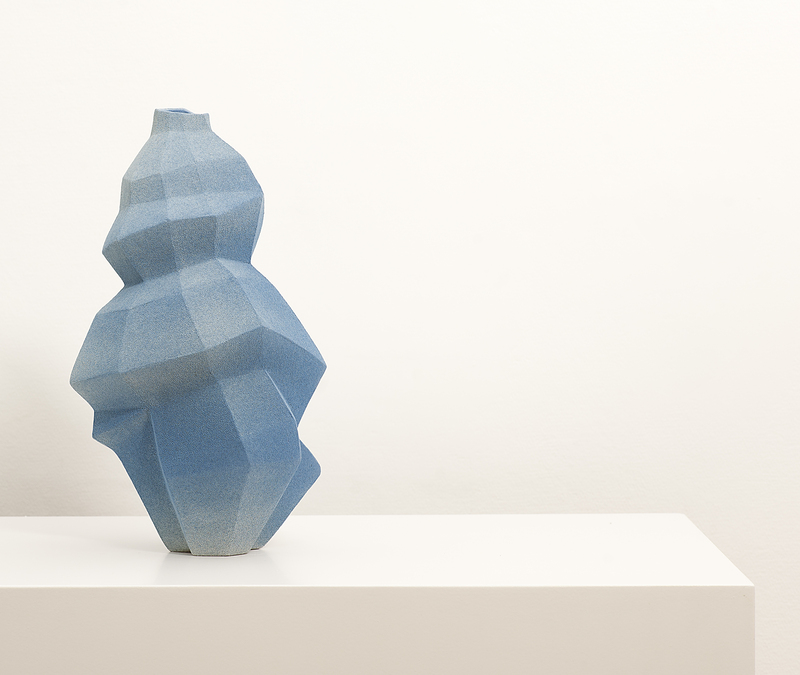 For her, the vessel is an independent sculptural object. All of the pieces in this show display her mastery of precise, simple and cultivated sculptural objects. The emphasis is on rhythmic upward patterns, lines, and the interplay between forms as recurrent themes. She features surfaces and colors that invariable cry out to be touched and experienced in all of their three-dimensionality. This is work that mimes rhythmical patterns of natural growth. The pieces are glazed with sinterengobe, which gives the works a stone-like, dry surface with a rich texture. 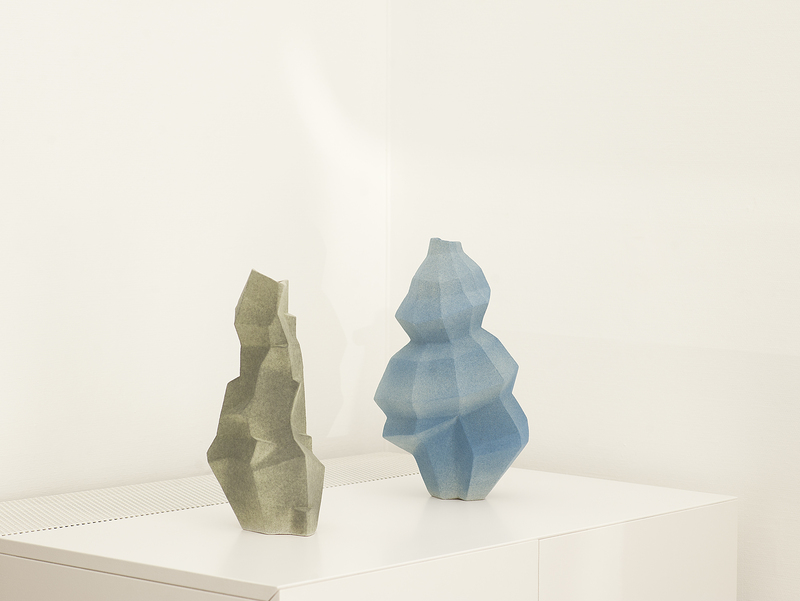 Her latest explorations are inspired by the patterns, textures and structures redolent of natural irregular shapes emerging from a constantly evolving Nature. These apparently careless and seemingly random growths and asymmetric forms testify to the more unruly forces of Nature. This work creates a visual and emotional reading with Clay, working with shape, rhythm, volume, movement and texture. It is inspired by the interplay between culture and nature; perhaps more especially, geological structures and crystal formations. Look carefully at the surfaces and facets and you may discover the flowing shapes of landscapes or the seemingly spontaneous shapes that nature constantly surprises us with. But look again and this time you may discover human architecture, artifacts and even everyday objects that surround us. Choose any line and travel in opposite directions. Any path the eye can follow will take you into forms and edged shapes that seem to generate from a single grain of coincidence or the unplanned—read nature’s seemingly random emerging development. Are they simply chaotic geometric shapes reminding you of crystal formations growing in irregular clusters? Or perhaps an artificial intelligence drawn rendering of the shapes of some functional object. It is the topography of a world that is yours to explore and experience. Turi Heisselberg (Personal show 2004), Turi Heisselberg (Personal show 2013), Turi Heisselberg Pedersen (Personal show 2018).